At Urban Coalhouse we invite you to enjoy the best of the here and now. It's at the core of our True to the Craft philosophy. Our crafted signature menu is prepared in our 800 degree coal-fired oven using only the freshest, highest quality ingredients. Our award winning coal oven roasted wings, delicious appetizers, selection of artisan old-world style pizzas and dinner plates are the perfect complement for time shared with family, friends colleagues, or that special someone. Urban Coalhouse boasts a wide selection of craft beer on tap that is updated weekly, homemade sangria and signature cocktails for everyone’s taste. Dive into generational dishes crafted from authentic recipes and take in the sights, sounds and aromas of our welcoming atmosphere. Enjoy the people you are with. Converse. Laugh. Cheer. Tell stories. Best of all - eat! PICTURED ON RIGHT: Founders Matthew, Michael, Andrew and Chris are all co-owners of the Urban Coalhouse multi-establishment. 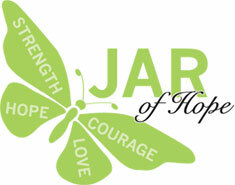 JAR of Hope is a nonprofit organization dedicated to finding a cure for Duchenne Muscular Dystrophy by creating awareness and raising funds for research and treatment. Currently, the fatality rate is 100%. Most of the children do not survive beyond their mid twenties and those who do become wheelchair bound by age 12. But with your help, this can all change. Through the "$1 million, 1 child, 1 year" initiative, JAR of Hope and Urban Coalhouse are partnering to find a cure for Duchenne Muscular Dystrophy, a terminal muscle wasting disease in children. The goal is to raise $1 million in one year for Duchenne research that could help bring us one stop closer to saving lives. James "Jamesy" Raffle, whose initials "JAR" now symbolize a greater purpose, was diagnosed with Duchenne Muscular Dystrophy at the age of four, on September 12, 2013. 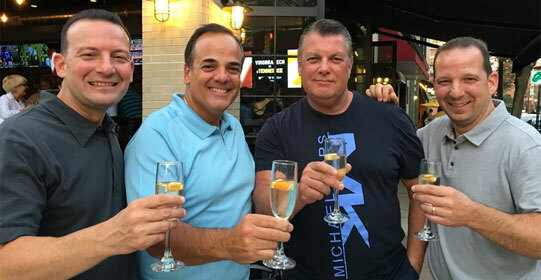 As the son of JAR of Hope founder and CEO, Jim Raffone, Jamesy is the inspiration behind the organization's big mission.